Everything you need to boost your 107" M8 motor up to a mind blowing 124 cubic inches! 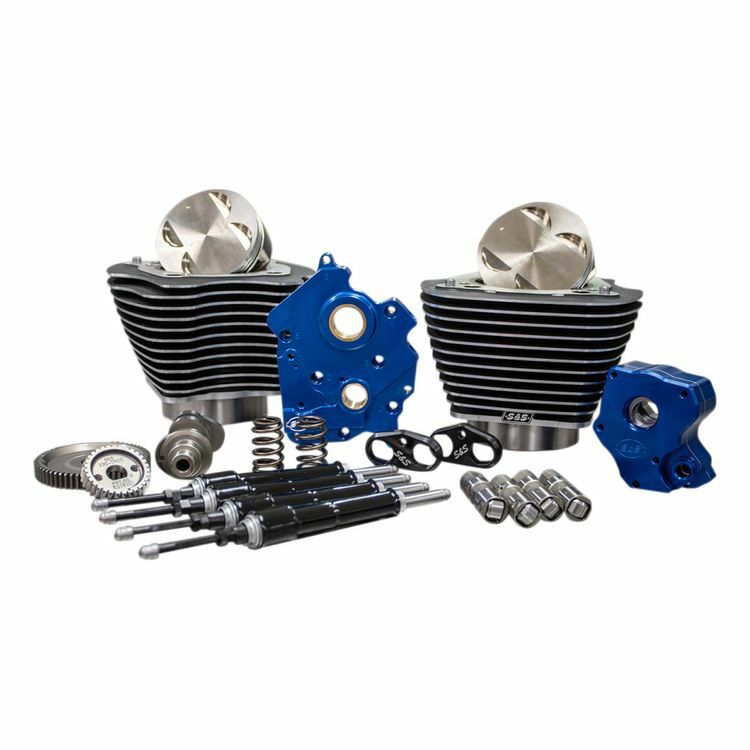 In addition to the increased bore, you also receive the perfect package of parts tailor made to work together for boosted performance like no other, and reliability to boot, thanks to the high quality oil pump and cam plate. Front Intake Lift at TDC .127"
Front Exhaust Lift at TDC .232"
Rear Intake Lift at TDC .099"
Rear Exhaust Lift at TDC .264"